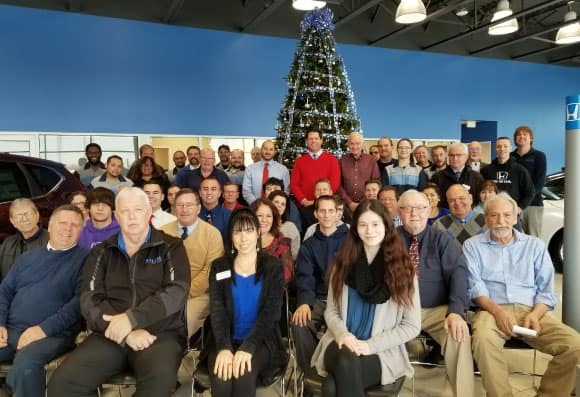 Happy Honda Days at Ralph Honda! new Honda at Ralph Honda! Get ready Rochester: The all-new 2019 Honda Passport is coming soon to Ralph Honda. Be among the first to check out its plenty of cargo room1, 280 horsepower2 and available all-wheel drive, the Passport SUV is fully equipped to turn any outing into an adventure. Sign up today to receive updates on the All-New 2019 Passport’s arrival! Simply click the button below or call now at 585-978-3070. 1 Honda reminds you to properly secure cargo items. 2 280 hp @ 6000 rpm (SAE net). Your battery has a tough job during the long, cold winter months. Your vehicles engine requires more power to start when the temperatures are colder and those temperatures make it harder for your batter to provide power. Before winter gets an icy grip on your battery, have your electrical system tested, including your battery and alternator. Keep your battery fully charged throughout the winter using a battery charger or maintainer; especially if you make frequent short drives (less than a mile). It’s important to properly maintain the components around your battery. Make sure cables, posts and fasteners are in good shape and check battery connections to confirm they are clean and tight. Use a stiff wire brush to clean off any corrosion and secure the battery to the battery tray to prevent excessive vibration. Ralph Honda checks your battery and advise you on its condition at every service visit. If you are not due in for service just stop in for a quick, FREE battery test at your convenience or schedule an appointment today. 1. Preheat oven to 350° and line two cookie sheets with parchment. Cream butter and sugars until light and fluffy, 3 to 4 minutes. Mix in egg and vanilla. 2. In another bowl, whisk together flour, cornstarch, baking soda and salt, then add mixture to wet ingredients and mix until smooth. Dough will be thick. 3. Place tablespoon balls of dough onto parchment-lined cookie sheets. Bake until edges are starting to brown, 7 to 8 minutes. 4. Remove from oven and let cool 2 to 3 minutes, then transfer to a cooling rack to cool completely. Make frosting: Beat cream cheese until smooth. Add powdered sugar and vanilla and mix until smooth. 6. Put sugar into a small bowl. Spread some frosting onto tops of each cookie, then press into granulated sugar, coating frosting with sugar. Just before serving, use a kitchen torch to caramelize sugar on top, then set aside to cool. 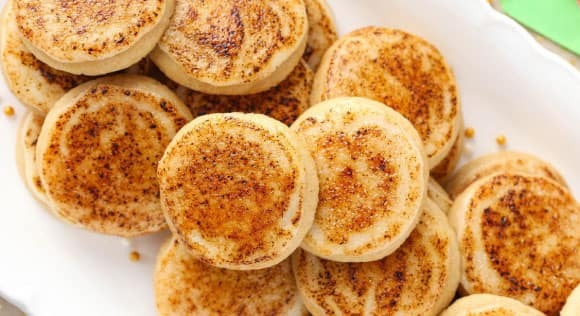 If you don’t have a kitchen torch, heat broiler and broil cookies until sugar caramelizes, 1 to 2 minutes (watch carefully!). Store cookies in the fridge for up to 4 days.